Jingle Bells, Jingle Bells, Jingle all the way! Oh, What fun it is to ride...In a one horse open sleigh. 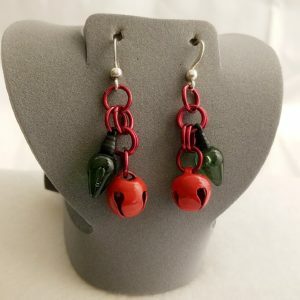 Jingle....... Christmas is on its way ... well depending on what time of year you are reading this that is. 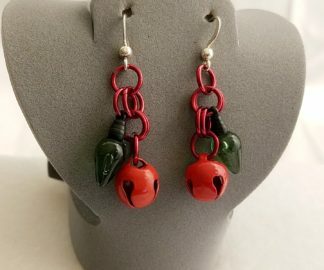 These Christmas Tree Light and Bell Earrings are adorable and will ring their way into your heart. Made from an miniature acrylic Christmas Light Bulbs (please note it does not light up) and actual red bell. Bells - have traditionally been associated with Christmas for a long time. In the Anglican and Catholic churches, the church day starts at sunset, so any service after that is the first service of the day. So a service on Christmas Eve after sunset is traditionally the first service of Christmas day! In churches that have a Bell or Bells, They are often rung to signal the start of this service. 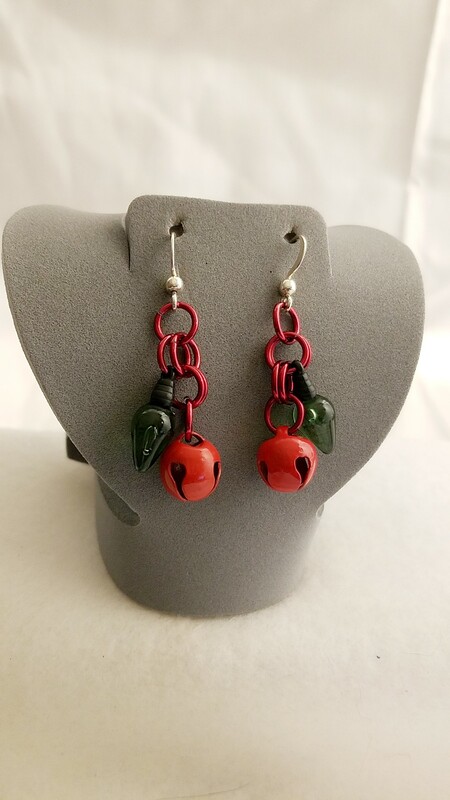 If you would like to know more about the gemstones, rings, and items that are used in making handmade items like this, Christmas Tree Light and Bell Earrings; please take a look at the Material Description Page and my Chain Maille Descriptions page.